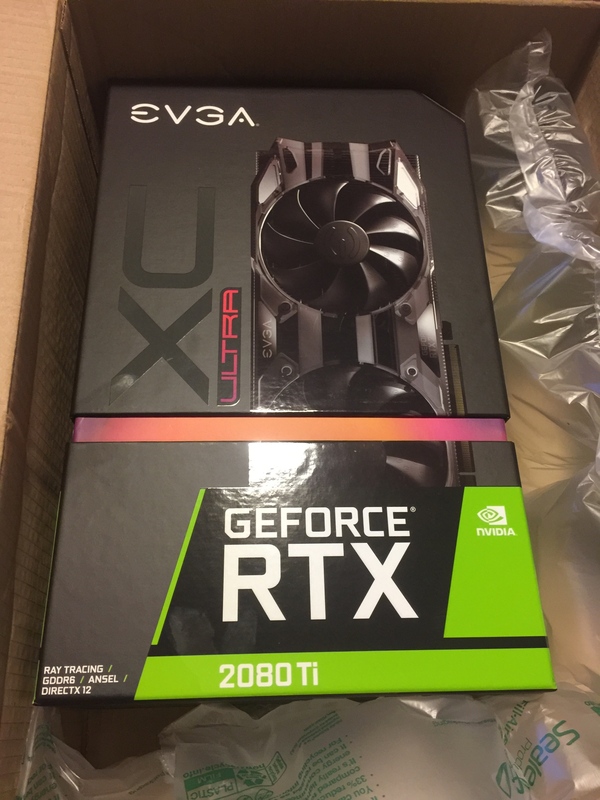 The problem I have is that I could make good use of a 2080Ti or even two of them but I don't think I can justify the purchase over my current 1080Ti. I'm planning on waiting for the 2180Ti and hoping that the performance improvements will really help with 4k gaming and for some programming tasks I want to use the graphics cards for. Already submitted a lot of benchmarks with this beast, so finally time to post the setup. Zotac Amp with a bykski Rgb/oled display block on it. Thanks mate. Was getting tired of the same old nickel and plexi look of everything else. This has a pretty cool pattern on the block/backplate too. As well as the oled display it really stands out among most blocks. Very tasty block m8! Who’s it by again? Thanks man. It's made by bykski. Really good performance, looks and quality so far on it. Heavy as f**k.
Just beware of the worst manual ever if buying bykski, wasn't the best to say the least. I know every card is different but wanting to accumulate an average on what people achieved in OC’ing an EVGA FTW3 Ultra. XC ultra setup today. Just in the process of building up the card with block and will update later. So far all seems good, very good large heatsink. Boosts to 1950mhz. Minimal coil whine, much better than my last FE. It is almost inaudible even at maximum load high refresh. 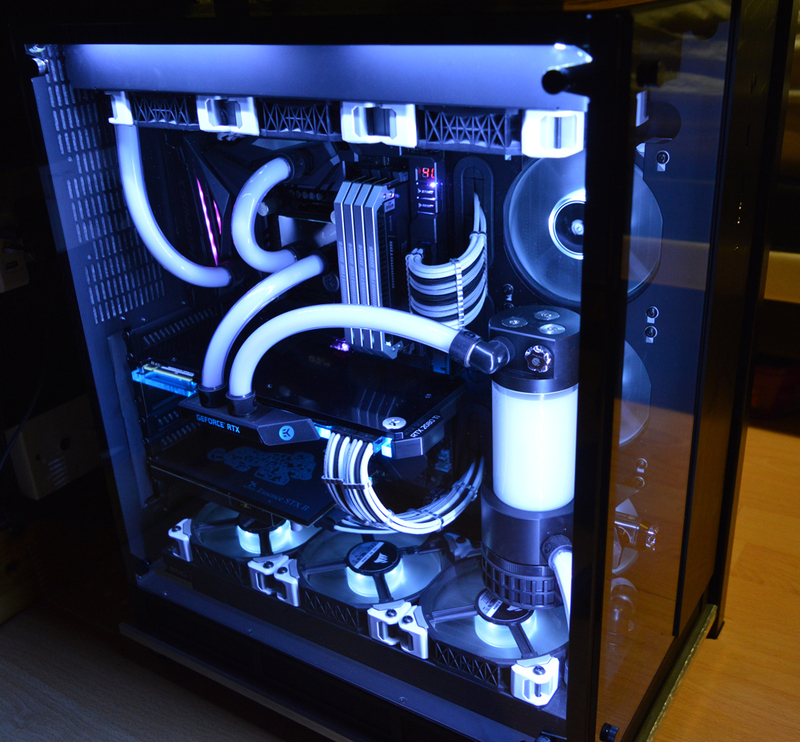 Quick pic for TROH however i will post a few pics later of the card with fitted block, benchmarks etc if i get time. Always read the posts on here but rarely post! Here's mine, MSI GTX 2080Ti Duke OC. have to admit these zotac 2080ti,s are insane temp wise mines sits at 28 idle.. haven't seen it hit anywhere near 60. All built up, installed and tested today. 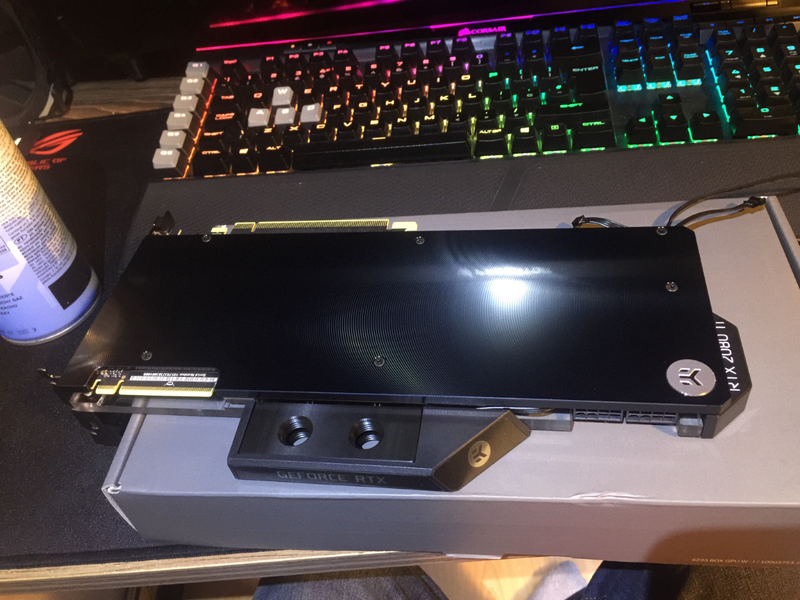 So far excellent, nice to have the EVGA warranty so i can fit a waterblock in the firstplace. Decent overclocker 2100mhz 24/7 at around 43-45c after a few hours of gaming on bfv which runs at max load. Took an hour or so to build up and fit. Lovely clean looking build bro! Was part of a 3k fantastic build I had made here. What a card! I have not been this impressed before by anything. Thank you ocuk. This card with the superb craftsmanship of the ocuk guys and 32gb ram with i9-9900k is the finest gaming experience I could ever imagine on my 4k 65 inch TV . Made my year this. I'm even excited about revisiting old games never mind how amazing the new ones look. Seeing as you guys all have 2080ti's hopefully you can help. Which is the best 2080ti card to watercool and oc ? An 'A' chip card from a big brand or does it in fact not matter?